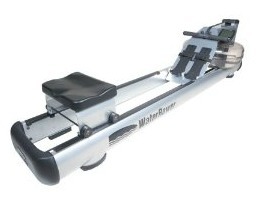 The WaterRower M1 LoRise rowing machine is a commercial or home model with a lower level of entry than the M1 Series HiRise rower. The Series 4 Performance Monitor displays workout stats including: time, intensity in m/s (meters per second) or mph, 500m split, 2km split, watts, and calories per hour. It also shows total strokes, stroke rate, heart rate (chest strap not included), and distance in units of meters, kilometers, and miles. 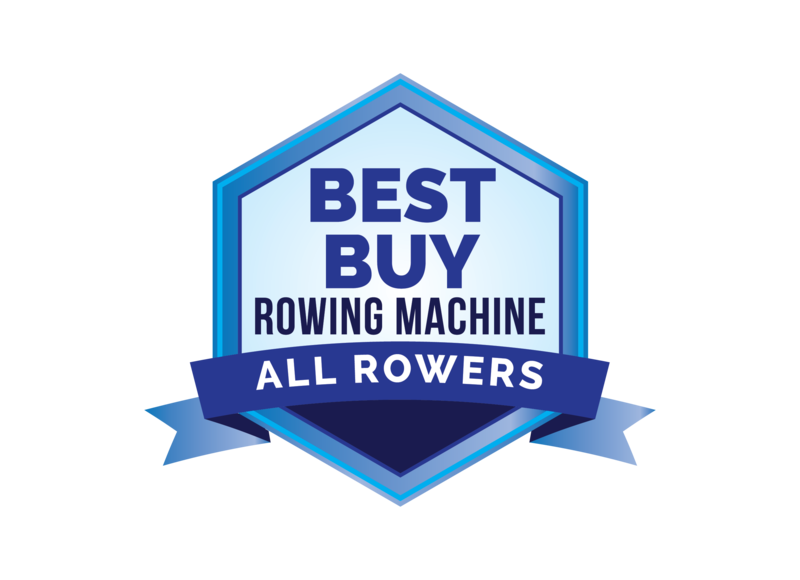 Frame Length/Height: 86" x 24"
The WaterRower M1 LoRise rowing machine with S4 Monitor uses an enclosed water tank and impeller blades to a provide smooth, quiet fluid stroke motion – just like you were rowing a boat on the water. There is no jerkiness or “catch” as you can experience with some air flywheel rowers; this water flywheel technology and pulley strap have no “give” so there is no jarring start at the beginning of the stroke. Note that the seat is 12" off the ground on the M1 LoRise...if you prefer a higher seat take a look at the M1 HiRise, which has a 20" seat height. The outer tank features the innovative impeller blades which move against the water to provide resistance while an inner tank holds the water for storage. You can vary the amount of water in the tank to change resistance, but all you need to do is to row faster for a more intense workout, or row slower for an easy workout. The pulley strap is made with high-density polyester webbing so there’s no chain to oil, and everything is maintenance free. The user reviews as well as comments made by fitness club managers indicate that these rowers are popular with their owners because of their durability and the fun they offer during a workout. They are sleek, super quiet (compared to an air fan rower), and a joy to own. The line has won several awards for design, including the Plus X Award in the Sports & Lifestyles category. The Water Rower line excels at its custom wood frames, but you get a nice alternative with these steel frame beauties if that is your preference. 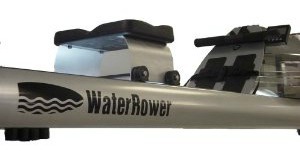 The WaterRower M1 LoRise rowing machine comes in standard colors of silver, black, and white or you can order one direct and choose from among 1600 custom colors. At $1689, the M1 is a great machine and rates a Good Buy.